Every Monday morning, adjunct professor John Twiggs started class with a countdown, reminding the students how much time remained for them to finish their documentary. That number started with 15 weeks, but on the first day of finals week, the countdown hit the final 48 hours of production. J-School students work closely with their subjects as seen in this behind the scenes pic. Photo by Jana Wiegand. The documentary, “Aging Out: Autism in Montana,” will premiere at the University Center Theater on Friday, May 13, at 7 p.m. as part of the Senior Showcase. However, the rest of the state will get to see the show on MontanaPBS on Tuesday, May 24, at 8 p.m.
Upper-level journalism students have the option to take the Student Documentary Unit every spring semester. However, this year’s group started researching ideas for the show back in December. A class vote revealed an overwhelming decision to pursue the topic of autism and how it impacts the lives of Montanans. After more research, the students noticed a significant gap in autism care as individuals with autism spectrum disorder (ASD) transitioned from school-age to adulthood. With the number of individuals being diagnosed with autism on the rise, they realized that the stress placed on the limited number of current care options for adults with ASD was ill-prepared to meet the needs of the incoming wave of adults on the spectrum. The students traveled across Montana to follow the lives of four families, each with a child on the autism spectrum. As a class, they chose their main characters to reflect a diversity of ages, abilities, finances and access to care. The class spent quality time at home with their characters, attending therapy sessions and time at the workplace too. 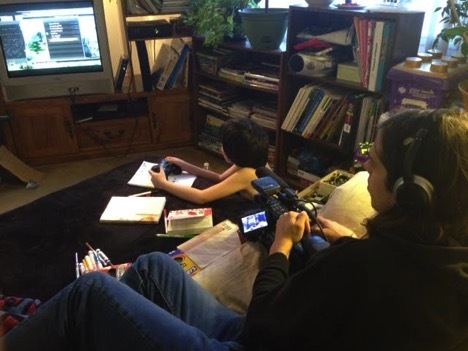 Students also interviewed autism specialists to shed insight on autism itself, the diversity care options and relevant legislation in Montana. Since then, the students have rewritten their scripts and finessed the edited footage to tell a story that speaks to the unique situations of each family, while also capturing the overarching struggles that unites them all. The majority of the members in Student Doc will graduate the day after the documentary premieres on campus. 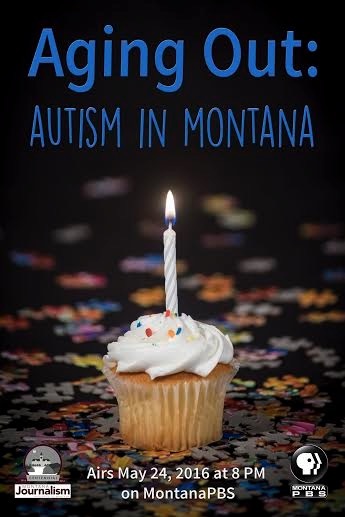 Check out the 30-second and 60-second trailers for the documentary on the Facebook page, “Aging Out: Autism in Montana,” which will also air on MontanaPBS in the days leading up to the television premiere. Students also plan to post behind-the-scenes footage from the making the documentary, providing exclusive insight to their process and the families they followed. The complete documentary will be available via the MontanaPBS website after the scheduled air date on Tuesday, May 24, at 8 p.m. Past documentaries from the Student Documentary Unit can also be accessed from their website.